Explore the world with your own two feet by embarking on a trekking and walking tour with World Expeditions. There are a million ways to travel, but few resonate in the way that trekking does. Get back to nature, challenge yourself and enter landscapes well beyond our urban environments. Picture yourself enjoying a spontaneous moment as you smile back at a nomadic mountain lady, snack by a rushing stream, follow winding paths that weave through the mountains, and scale rugged and rocky terrain in search of the perfect sunrise. In a nutshell, trekking is all about embracing unique moments, incredible landscapes and new cultures in some of the most isolated parts of the world. 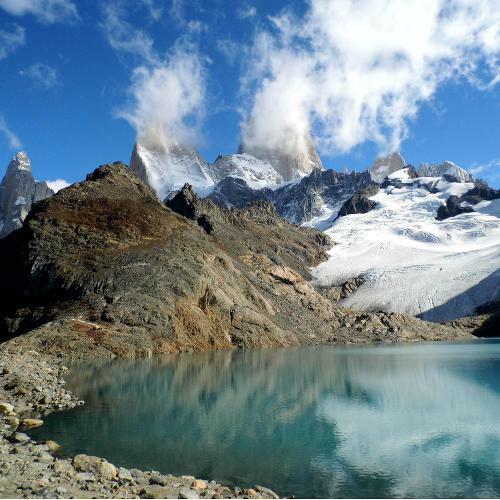 Our trekking adventures take you to some of the world’s most remote and beautiful locations. Discover the remote trails of the Himalaya in Nepal, Tibet, India, Sikkim and Bhutan; the dramatic Pamirs in Central Asia; the Andes from Patagonia to Peru; the Table Mountains of Venezuela; the Rockies and National Parks of North America; the High Atlas of Morocco; the Simien Mountains of Ethiopia; Kilimanjaro, Mount Kenya, Mount Meru and the Ruwenzoris in East Africa; along the Great Wall of China and ancient pilgrim trails in Japan; hill tribe country in Vietnam and Thailand; Turgen Mountain in Mongolia; the European Alps and Dolomites; Turkey’s Taurus Mountains; Iceland’s rugged wilderness and geothermal valleys; the Southern Alps of New Zealand, Australia’s remote outback and Tasmanian trails. With some of the most off-the-beaten-track trekking opportunities in the world, you can choose from a range of easy to challenging treks designed to bring you closer to the culture and wilderness of a country. Our responsible travel guidelines have been developed to ensure our trekkers travel with minimal impact on the culture, environment and community, saving the beauty of this world for future generations. 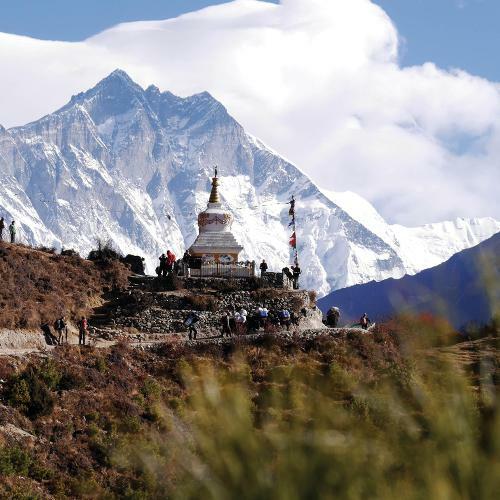 Whether it’s camping in semi-permanent campsites to discourage logging in the Himalayas, to hiring local guides, porters and cooks, your presence on a World Expeditions trip means you are helping the local community grow and develop both economically and environmentally. Best of all, unlike many other trekking providers, our trip prices include the cost of accommodation, food, and transport so there won’t be any surprise hidden expenses while you’re on your trip! Have limited time for your holiday in Peru? Make the most of it with this first-hand Peru travel advice for first timers. What Happens in the Okavango Delta on a Botswana Safari? With lush rainforests, pristine beaches and a World Heritage national park, the Caribbean island of Dominica boasts the best trekking in the Caribbean. Inca Rivers Trek - Better than the Inca Trail! The Inca Rivers Trek is the ultimate Inca Trail adventure without the crowds and has it all. Classed as expeditions, they involve either extreme trekking and or basic mountaineering. Expect remote and poorly defined trails in variable weather conditions for up to 12 hours a day (possibly more subject to weather conditions and altitude). This may include a number of demanding high pass crossings and evacuation may be difficult from remote areas. Participants should be competent and self sufficient in the outdoors and have experience in multi day trekking at altitude. Prior experience on an entry level mountaineering expedition is highly recommended. The terrain will involve low to moderate angle snow slopes and travelling on crevassed glaciers. These are our most challenging expeditions. Most are participatory expeditions & involve load carrying, setting up of camps, cooking and campcraft. Some of these expeditions also involve “technical” climbing and are for experienced alpine climbers / mountaineers only. Technical expeditions involve steep climbing at high altitude (including rock climbing). The conditions are relatively straightforward and not technically difficult. Expect generally low angled slopes with no prolonged steep or exposed sections and glacier travel where participants are roped together. Abseiling may be required in short sections. The conditions are challenging involving steep and exposed snow and ice slopes with sections of rock climbing. Some sections involve abseiling and belaying. A more serious and technical undertaking involving long and exposed climbing on snow, rock and ice. Competent rope work, efficiency of movement and good technical skills are required. To participate in these entry level expeditions or exploratory treks, you must be in excellent health and lead a very active lifestyle. The trips are suitable for first time mountaineers, previous altitude experience is preferable but not essential, and you must be comfortable in adverse weather conditions. Suggested preparation: Physical fitness should be an ongoing thing, which should start from a base at around four to six months prior to departure and increase to build maximum endurance, stamina, flexibility and familiarity with the anticipated routine as much as possible by your trip commencement. Three to five hard sessions of 45 to 60 minutes of physical exercise per week such as running, hill walking, swimming, cycling or gym work will build excellent aerobic capacity and overall endurance and stamina which are so important in trekking and climbing at altitude. Overnight or multi day bushwalks (on rough, loose and rocky terrain) should be incorporated in your training regime; this develops skill and confidence on difficult terrain you will find on expedition. Rest and recovery, whilst at the same time steadily increasing your routine and incorporating variety, are just as important parts of the process if you intend to maintain and enjoy the regime for any duration. Please review the ‘Physical Fitness’ section of the detailed trip notes for each expedition to ensure your fitness and training are sufficient. To participate in intermediate level expeditions, you must be in excellent health and lead a very active lifestyle. Experience with multi-day trekking at altitude is essential. Experience using ice axes and campons is preferable but not essential. 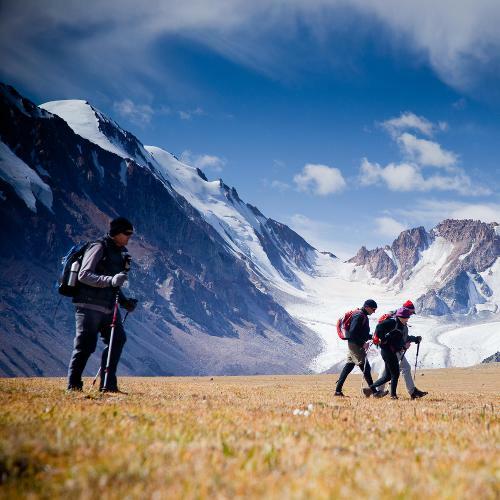 Prior mountaineering experience is essential for participation in these advanced expeditions. Participation is also subject to acceptance by one of our high altitude mountaineering guides. Most are participatory expeditions, involving load carrying, setting up of camps, cooking and camp craft. Some of these expeditions also involve ‘technical’ climbing and are for experienced alpine climbers only.